From the President through to the sales force and the skilled workers on the mill floor, everyone at DCS is committed to anticipating, understanding and meeting customer needs. 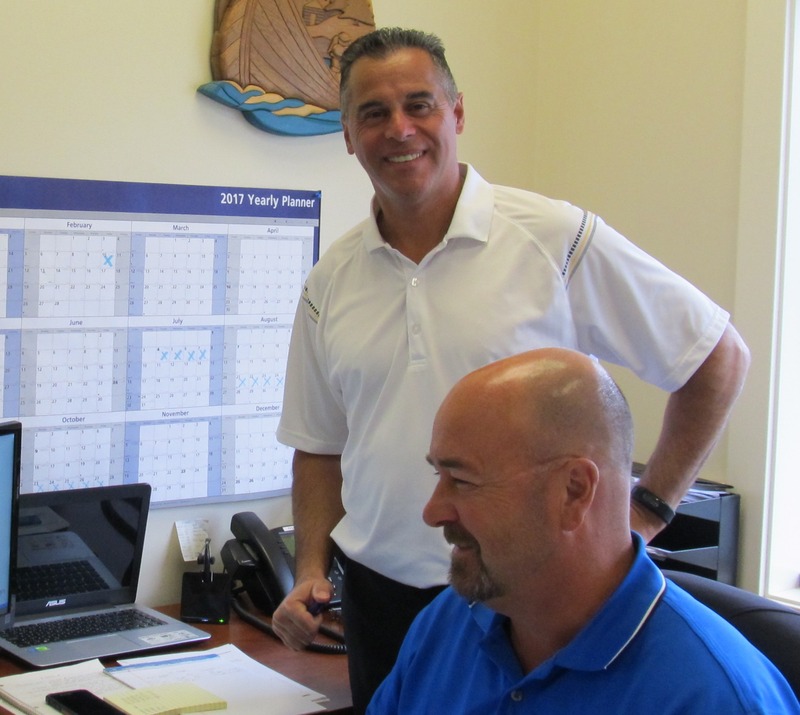 President Dean Garofano empowers the sales force to make decisions on the spot, and the diverse yet integrated nature of the company supports speedy communications and problem solving. With over 30 years of industry experience under his belt, Dean has acquired deep industry knowledge from his days of tallying lumber, coordination of remanufacturing to VP of Sales and Marketing. Those diverse experiences along with his business acumen contribute to his practical leadership style. Al was already working in the lumber industry as a teenager, and since then has handled all positions, from yard worker to manager of his own lumber company. With over three decades of experience, Al is an expert in all branches of the industry. Gary has had a 30-year career with Delta Cedar where he started out as a teenager. Since then, he has grown with the company, moving from yard worker to residential installations to tallyman, and currently sales and marketing manager. Dean has spent over 30 years working at and managing Delta’s Cedar’s retail and installation company, Sunbury Cedar, along with many years of cedar remanufacturing experience. His extensive knowledge and understanding from a retail perspective directly benefits his customers’ needs and helps him excel in his current sales and marketing role. Brian has been with Delta Cedar since he began his three decade long, exceptional industry career. He started at Sunbury Cedar and then moved through several positions, acquiring the depth of knowledge the company is known for. Ryan can look back on over two decades of working for government as well as major private sector lumber companies. A BCIT Forestry graduate, he held positions ranging from custom cut through sales manager before he joined Delta Cedar in 2014. Before joining Delta Cedar, Douglas acquired a wealth of practical and theoretical knowledge working for several large competitors. He graduated from BCIT Forest Resources Technology and Canadian Forest Products Engineering Program. Delta Cedar Specialties and our two sawmills, Halo Sawmill and Delta Cedar Mill, operate as an integrated unit. From sourcing logs on the timber floor through the manufacturing process to delivery, we do it all in house. That is our unique strength, enabling us to offer flexible and reliable service to our worldwide customers.